Much like every other vaguely creative, vaguely professional, easily marketed to millennial, as soon as I heard about the Little Black Book I decided it was a necessary purchase for the ensured success of my future endeavours. I was correct. 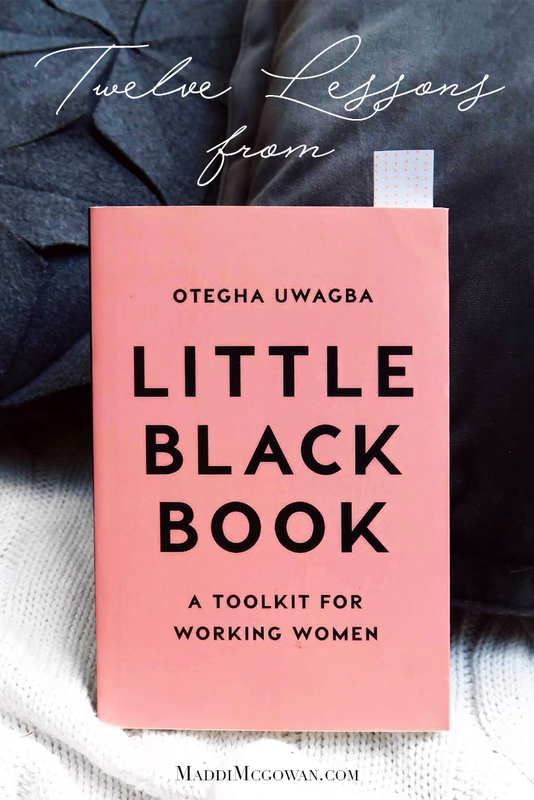 Physically it is very tiny, but the author (Otegha Uwagba, who I believe I first heard of on an episode of The High Low podcast - also recommend) manages to cover a huge amount of ground and create exactly what she promises on the cover - a toolkit for working women. While some sections will apply more to some people than others, regardless of whether you're self employed or working 9-5 there will be plenty of info for you to take on board and apply immediately. A lot of these are ideas I already had bouncing around in my head from other sources, but it's nice to have things confirmed and wrapped up in a nice little package. That being said, here are my top 12 takeaways from Otegha Uwagba's Little Black Book. Even something as small as starting your day an hour earlier than usual can make a huge difference to your productivity. Even better, designate that first burst of productivity as a 'power hour' where you set yourself up for the day by getting something important done or even just practicing mindfulness, journaling or meditating - uninterrupted by emails or social media. I did some light reading on the habits of self-made millionaires recently, and a lot of them swear by creating extra hours in the day by waking up earlier. I, personally, am still working on this one. This is a policy I've adopted thanks to prompting from multiple sources, and it makes a huge difference. First of all, our willpower is a finite resource that drains over the course of the day, so your best shot for taking on something intimidating will be first thing, before you've had to make too many other decisions. Secondly, once you've got that out of the way everything else seems easy. The idea that you need to work ridiculous hours to be successful has been disproven countless times, but it's a hard concept to internalise if you're used to working set hours regardless of your output. If you spend all your work time actually working, as opposed to checking socials and absentmindedly swapping between tasks, you'll get your work done much faster, and likely to a higher standard. 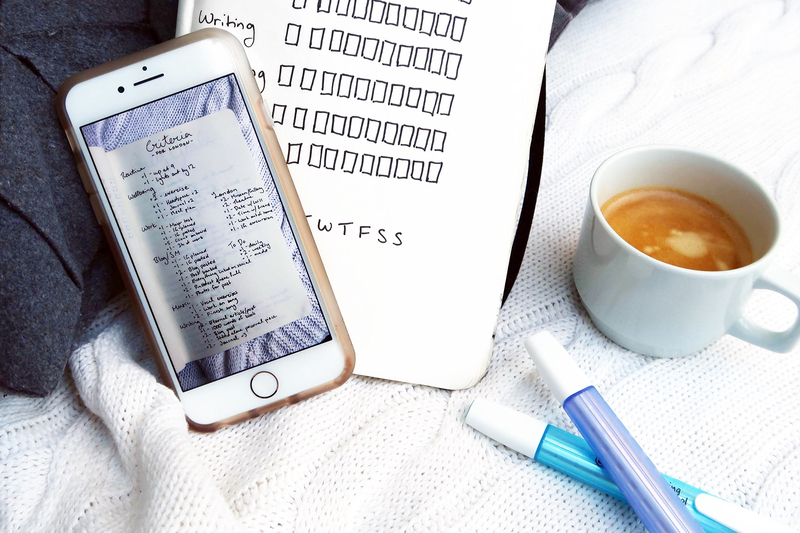 From digital detoxes and mindfulness to setting specific times for email and social media throughout the day, the message of prioritising yourself and not being constantly available is strong. Taking breaks is just as important as time spent working, and working for yourself doesn't mean working 24/7. As with everything in the book, she provides practical tips to apply immediately. "Done is better than perfect" is one of my mottos for this year, and actually internalising that concept has made a massive difference to they way I operate day to day. I'm naturally a perfectionist, which sounds great but in reality just leads to me putting things off because I never feel like I'm ready to do them well enough, so adopting a policy of getting things 80% right and then fixing them later has easily doubled my productivity. "Show up, show up, show up, and after a while the muse shows up too." Similar to the last point, but more geared towards creative work specifically. It's easy to put off creative work when I'm not in the right mood, but that's not particularly conducive to getting things done and I've found that the best way to get over writer's block to just start writing anyway. Don't be afraid to hold your ground when it comes to rates for your work or what it is that you're being asked to do. Have confidence in your own abilities and don't lower your standards or make compromises that don't feel right. Otegha provides concrete advice for how to actually do this, like compromising on deliverables rather than price, which is particularly helpful as someone who is very new to this whole self-employment lark. "Always be a first rate version of yourself, and not a second rate version of someone else." Nothing new or exciting will come from just working with the resources and ideas you already have, and chances are copying the route someone else has taken move for move will lead to mediocrity at best. A commonly perpetuated quote is "don't surround yourself with yourself" and I find this applies particularly well when it comes to defining a unique brand voice or path for yourself. If you're only learning from people who are doing the exact same thing as yourself and each other you run the risk of becoming generic and being overlooked. Look outside your genre for inspiration and don't be afraid to try something different, even if you're aiming for the same end goal as others. There's not much else to say without getting into specifics, just incredibly informative. Reassess your rates, your strategy, your marketing - regularly scheduling time specifically to reflect on how you're doing and what could use a bit of improvement or some new energy is the key to consistent progress. Especially when it comes to freelancing, no one is obligated to have your back if you don't. Not everyone is going to try and rip you off, but it's better to be safe than sorry, and if you're in any sort of confusion about what you've agreed to do for someone it's helpful to have something solid to refer back to. Even if your conversations are over the phone or in person, always send a follow up email to confirm what you've discussed and agreed upon. See what I mean about practical advice? Abundant. This is barely a corner of the ground she's managed to cover in this book, so I 100% recommend picking up a copy. I've already read it cover to cover and I still find myself referring back to it for practical advice. Let me know if you have any recommendations of similar books I should check out (I already have The Working Woman's Handbook, but haven't read it yet), and for now I will love you and leave you.